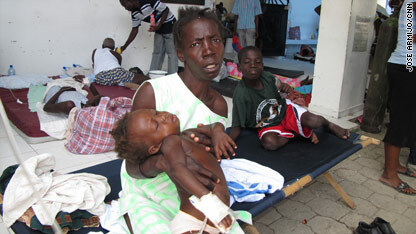 Was cholera in Haiti before the earthquake? ﻿The fast moving cholera outbreak has sickened more than 3,000 people and resulted in more than 250 deaths in the island nation of Haiti. This infectious disease has not been seen on the island since the 1960s and doctors are working around the clock to get the outbreak under control. "We expect these cases to increase and infection to emerge," said Dr. Jon Andrus, deputy director of Pan American Health Organization. "We had put in an early warning system to watch for these consequences, since the earthquake on January 12. So we are prepared if the numbers become more widespread. We are ready to handle this infection." But according to Dr. Anthony Fauci, director, National Institute of Allergy and Infectious Diseases at the National Institutes of Health, the bacteria must have been in Haiti already, beneath the surface, and poor sanitation helped trigger the outbreak. Here's yet another reason to stop smoking: It elevates the risk of Alzheimer's disease and vascular dementia, according to a new study. An analysis of more than 20,000 men and women found a 157 percent heightened risk of Alzheimer's disease in people who had smoked more than two packs of cigarettes a day. 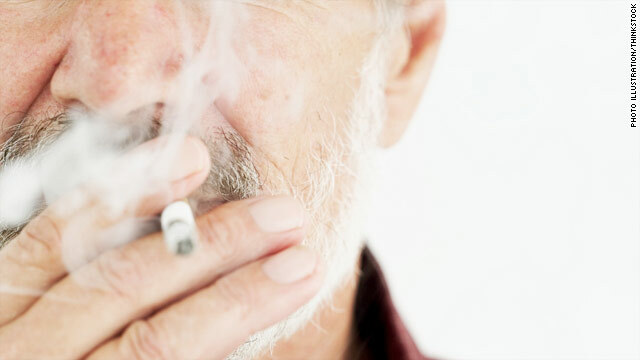 For vascular dementia, the second most common form of dementia, these smokers had a 172 percent increased risk. Genetics may affect an individual's response to sleep deprivation, according to a study published in the journal Neurology. Researchers at the University of Pennsylvania School of Medicine studied 92 people who did not carry the gene DQB1*0602 and 37 people who were carriers of the gene, whom they considered to be healthy sleepers. The gene is closely associated with narcolepsy, a disorder characterized by excessive daytime sleepiness and caused by the brain's inability to normally regulate sleep-wake cycles. Not everyone who has the gene variant has narcolepsy. This week, The Chart and CNN's Belief blog take a deeper look at meditation, what it is and how it can change us physically and emotionally. Every weekday, a CNNHealth expert doctor answers a viewer question. On Monday, it's Dr. Jennifer Shu, a pediatrician. Although health experts and most parents know that some teens experiment with drugs, many kids often do not voluntarily admit to using illicit substances, even when they know they could undergo a drug test that could prove it. In a study published Monday in the journal Pediatrics, researchers at Wayne State University in Detroit, Michigan, surveyed more than 400 high-risk urban teens and their parents or caretakers. After asking about drug use (marijuana, cocaine, opiates, alcohol, tobacco) in a questionnaire, teen and adult hair samples were taken and tested for cocaine and opiates. 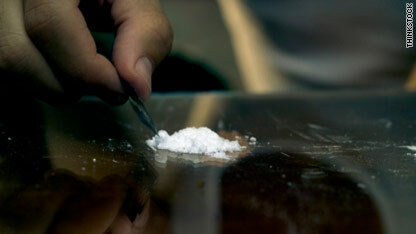 The data found that young people were 52 percent more likely to test positive for cocaine in their hair samples than they were to actually report using cocaine on their questionnaires. One of the challenges faced by new parents is getting their infant to sleep through the night and on to a sleep schedule similar to that of Mom and Dad. A new study in the journal Pediatrics finds that most babies will sleep five to eight hours per night by their fourth month of life. "Sleep is important for optimal growth and development and also goes a long way towards a baby’s mood, " said Dr. Jennifer Shu, a practicing pediatrician and CNNHealth's Living Well expert. "Most newborn babies sleep about 16 to 20 hours per day (ie, more asleep than they are awake) and by a few weeks of age they already tend to sleep more at night than in the day. There can definitely be some differences, however, with some babies needing less sleep overall or less daytime sleep than others.